Is VJ Anusha Dandekar Marrying Boyfriend Karan Kundrra? Karan Kundra and Anusha Dandekar are one of the most popular TV couples. They are madly in love with each other and have been dating for over four years. Ever since the duo announced their relationship, their fans have been rooting for them and anticipating their wedding. 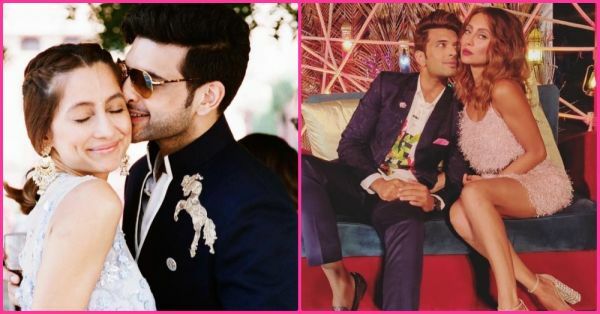 During an Ask Me Anything with her fans on Instagram, VJ Anusha revealed her marriage plans with boyfriend Karan Kundra. 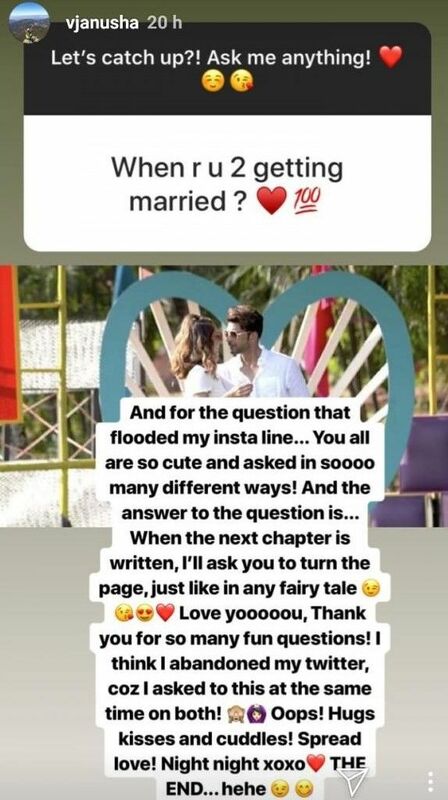 Anusha told her fans that when she plans to move on to her 'fairy tale', she will ask her fans to turn the page: "And for that question that flooded my Insta line ... you are all so cute And the answer to the question is .... When the next chapter is written, I'll ask you to turn the page, just like any fairy tale . Love youuuuu.Thank you for so many fun questions ... hugs kisses and cuddles. night night xoxo .. the end ... "
Anusha has been constantly dropping hints about her wedding with Karan . When her sister Apeksha Dandekar married actor Abhishek Sharma, Anusha Instagrammed a picture of herself from the hustle bustle of the wedding festivities and captioned it: "When your sister gets married and everyone keeps asking when you're yours." Well, it's safe to say that we will be the wedding bells anytime now! Karan and Anusha met for the first time at an airport. They immediately clicked and became good friends. From being the best friends to two people madly in love, Karan and Anusha had a beautiful journey together. On the work front, Karan Kundra and Anusha Dandekar are all set to host their upcoming season of love show . The fourth season of the show will also feature a gay couple's promotion of 'love is no boundaries'. The show is all about an institute for real-life couples facing challenges, in a hope Anusha and Karan not only host the show but turn in 'love professors' and try to rekindle the lost romance.